Todays world is one marked by the signs of digital capitalism and global capitalist expansion, and China is increasingly being integrated into this global system of production and consumption. As a result, Chinas immediate material impact is now felt almost everywhere in the world; however, the significance and process of this integration is far from understood. This study shows how the a priori categories of statistical reasoning came to be re-born and re-lived in the Peoples Republic - as essential conditions for the possibility of a new mode of knowledge and governance. 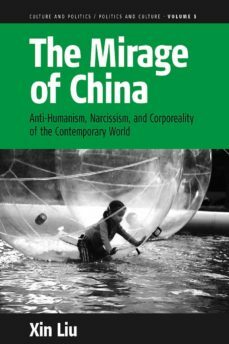 From the ruins of the Maoist revolution China has risen through a mode of quantitative self-objectification. As the author argues, an epistemological rift has separated the Maoist years from the present age of the Peoples Republic, which appears on the global stage as a mirage. This study is an ethnographic investigation of concepts - of the conceptual forces that have produced and been produced by - two forms of knowledge, life, and governance. As the author shows, the world of China, contrary to the common view, is not the Chinese world; it is a symptomatic moment of our world at the present time.